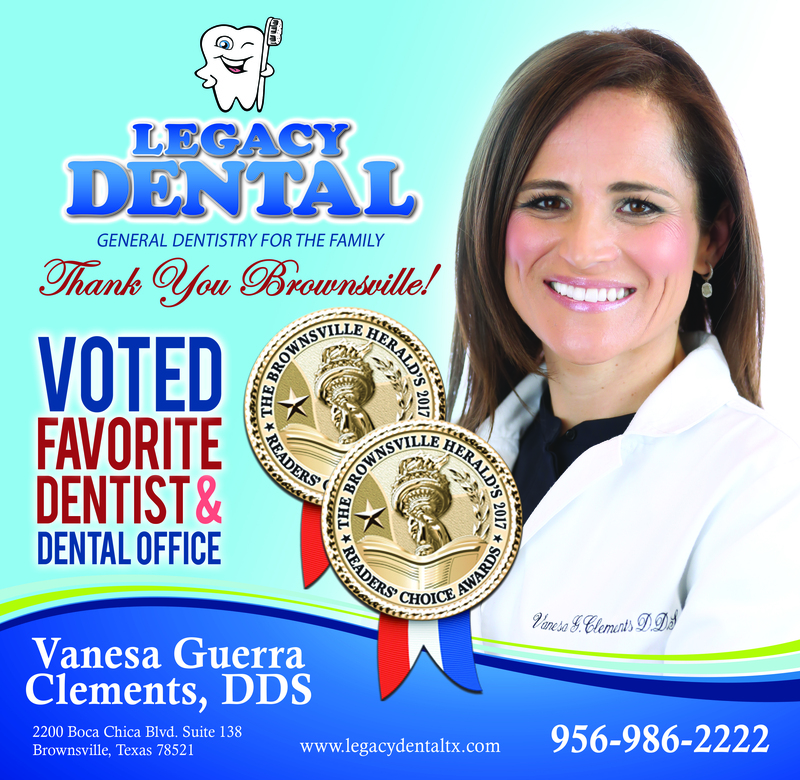 We're thrilled that Dr. Vanesa Guerra Clements recently received a Brownsville Readers Choice award for Favorite Dentist, while Legacy Dental was voted Brownsville's Favorite Dental Office!! Thank you to all of our patients and supporters who voted for us!! Legacy Dental is family-owned and operated, as Dr. Vanesa Guerra Clements (a Brownsville native) works side-by-side with her husband and office manager, Joseph, allowing her to focus on what she enjoys most: educating patients on the importance of proper oral hygiene and providing top-of-the-line dental care! !